Today’s podcast guest is Steve Cockram. Steve is the co-founder of GiANT Worldwide and travels extensively teaching and consulting with senior executives and their teams all over the world; from the likes of the British government and multi-national corporations, to small start-ups in Sheffield, UK or Atlanta, GA.
Steve has a long-suffering wife of 24 years and 3 daughters. We all face difficulties in leadership. What difficulties have you encountered and what have you learned from these challenges? Every leader has a unique way of leading. I believe you call this their voice. Can you tell us a bit more about leadership voices? How do you find out how people are hearing you? 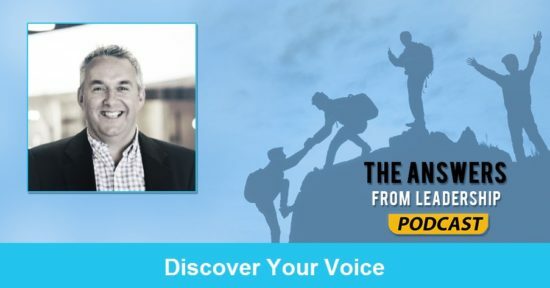 How does knowing your voice help you lead better? Do you recommend finding out the voices of your team members? The primary application of 5 Voices is to help teams function more effectively. Do you recommend communicating your voice to your team? Does our voice change over time or does it stay fairly consistent? What do you wish you had known about leadership 10 years ago? Do you have anything else you’d like to share with listeners? Question: Do you know what your voice is? If so, please share it in the comment section below. If not, what do you think your voice is?